Lady Jane Grey, born sometime between 1536 and 1537, was Queen of England for nine days after the death of the Boy King, Edward VI. 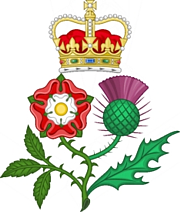 She was a great granddaughter of King Henry VII, her mother being Lady Frances Brandon, daughter of King Henry VIII’s younger sister, Mary, and her accession was maneouvered by the Lord Protector, John Dudley, Duke of Northumberland, who was ruling the country as Edward was still too young. In 1553, it became apparent to Edward’s guardians that the young king was dying. The nature of his illness, and subsequent death, is still a subject of debate, but after contracting measles and small pox in 1552, the King never recovered. As soon as Northumberland knew Edward was going to die, he made plans for Jane to succeed him to the throne. 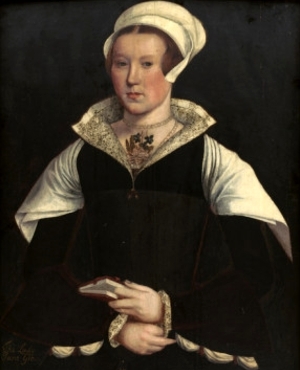 King Henry VIII’s eldest daughter, Mary, was the next in line, but as she was a devoted Roman Catholic, and the country was now a Protestant one following Henry’s break with Rome, he feared what it would mean for the country if Mary became queen. 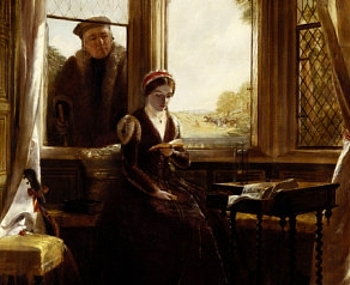 He knew she would make England Catholic again and feared not only the persecution of Protestants, like himself, but the confiscation of former church lands that Henry had given to his nobles. Many had prospered from the dissolution of the monasteries. In an attempt to stop Mary succeeding, Northumberland had Edward make a will which bestowed the crown on his cousin, Lady Jane Grey. This act was not difficult to justify as Mary was now officially illegitimate after her father’s divorce from her mother, Catherine of Aragon. 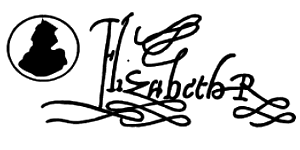 In law, Elizabeth, Henry’s daughter by Anne Boleyn, was also considered illegitimate as the marriage had been annulled at the time of Anne’s execution. 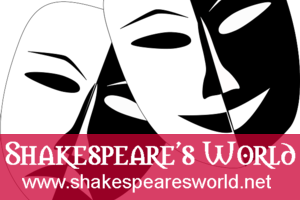 In Tudor times, a king’s illegitimate children could not succeed to the throne.